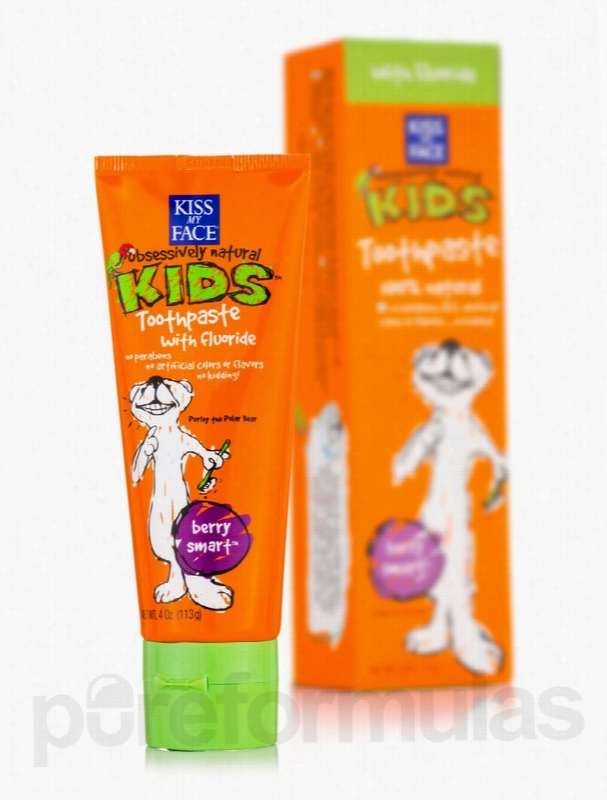 Kiss My Face Oral Health - Berry Smart Toothpaste with Fluoride - 4 oz. - 100% natural toothpaste.- With fluoride.- Berry smart.- No parabens&sbquo; SLS&sbquo; artficial colors or flavors.Uses: Aids in the prevention of dental cavities.Clean teeth&sbquo; healthy gums come naturally&sbquo; with cranberry&sbquo; Aloe and tea tree extracts to promote a healthy mouth. A berry flavor kids will love. These statements have not been evaluated by the Food and Drug Administration (FDA). These products are not meant to diagnoseÃ¢ÂÂ treat or cure any disease or medical condition. Please consult your doctor before starting any exercise or nutritional supplement program or before using these or any product during pregnancy or if you have a serious medical condition. 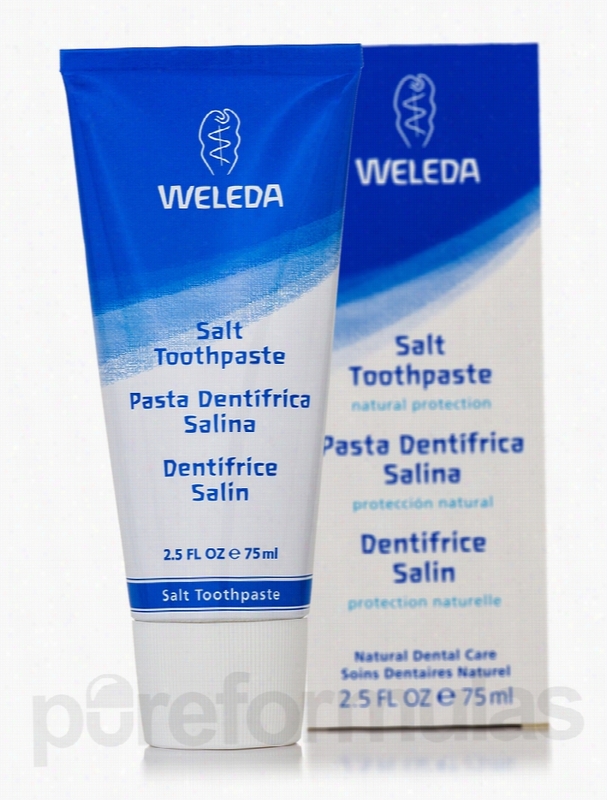 Weleda Oral Health - Salt Toothpaste - 2.5 fl. oz (75 ml). This unique toothpaste&sbquo; with sea salt and gentle mineral abrasive particles&sbquo; helps prevent tooth discoloration and helps reduce the build-up of tartar with regular brushing. It increases natural saliva production&sbquo; encouraging the body to keep gums clean&sbquo; healthy and strong. Extracts of murrh and ratanhia help tighten the gums' texture. A mixture of essential oils&sbquo; including peppermint&sbquo; provides long-lasting freshness.Free of surfactants and flouride. These statements have not been evaluated by the Food and Drug Administration (FDA). These Products are not meant to diagnoseÃ¢ÂÂ treat or cure any disease or medical condition. Please consult your doctor before starting any exercise or nutritional supplement program or before using these or any product during pregnancy or if you have a serious medical condition. 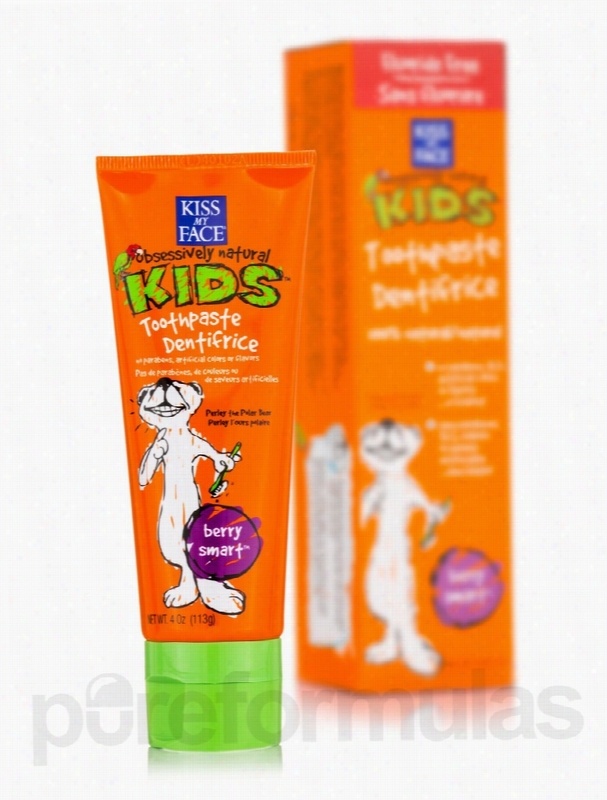 Kiss My Face Oral Health - Berry Smart Toothpaste Dentifrice w/o. - 100% natural toothpaste.- Fluoride free.- Berry smart.- No parabens&sbquo; SLS&sbquo; artficial colors or flavors.Clean teeth&sbquo; healthy gums come naturally&sbquo; with cranberry&sbquo; aloe and tea tree extracts to promote a healthy mouth. A berry flavor kids will love. These statements have not been evaluated by the Food and Drug Administration (FDA). These products are not meant to diagnoseÃ¢ÂÂ treat or cure any disease or medical condition. Please consult your doctor before starting any exercise or Nutritional supplement program or before using these or any product during pregnancy or if you have a serious medical condition. 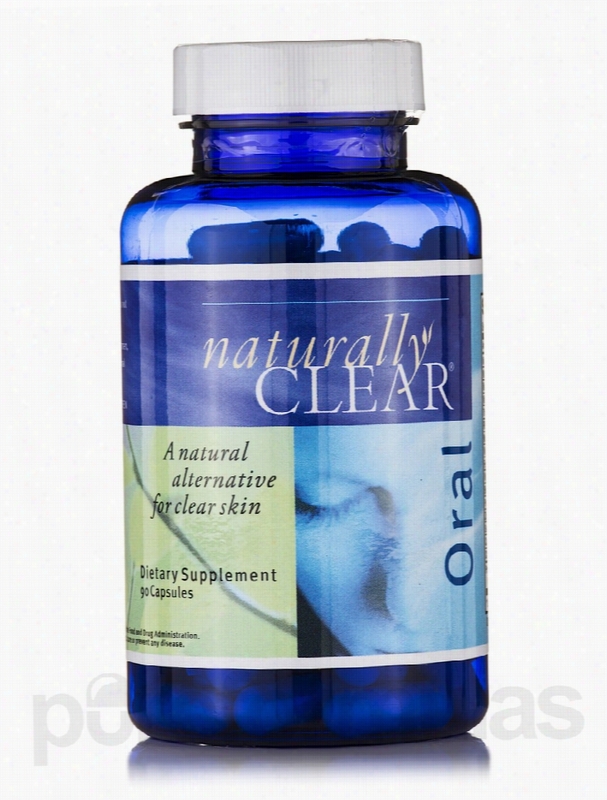 Metabolic Maintenance Skin Care - Naturally Clear Oral - 90 Capsules. 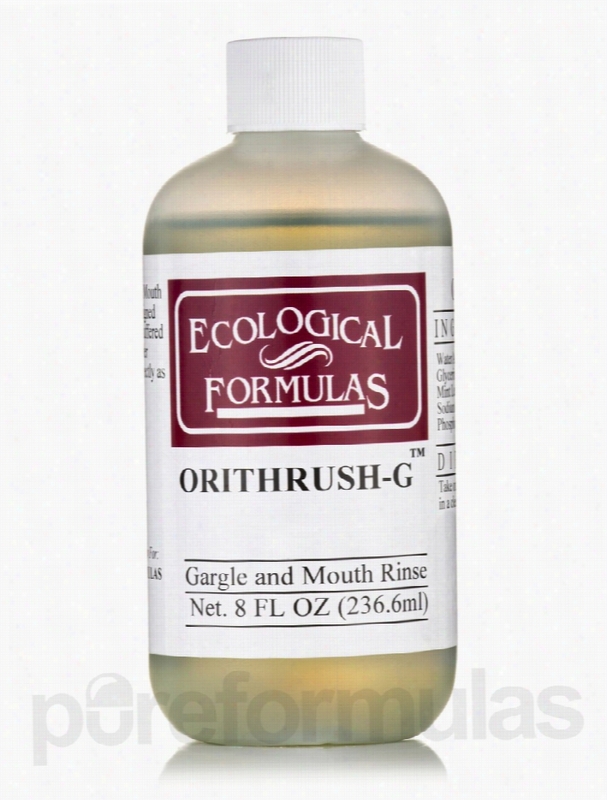 Ecological Formulas Oral Health - Orithrush-G - 8 fl. oz (236.6 ml). Orithrush Gargle and Mouth Rinse is a scientifically designed solution. This specially buffered liquid does not require further dilution and can be used directly as a gargle. These statements have not been evaluated by the Food and Drug Administration (FDA). These Products are not meant to diagnoseÃ¢ÂÂ treat or cure any disease or medical condition. Please consult your doctor before starting any exercise or nutritional supplement program or before using these or any product during pregnancy or if you have a serious medical condition. NOW Oral Health - NOW Solutions - XyliWhite Toothpaste Gel for. Kids Toothpaste Gel - Strawberry Splash!Product Highlights:1) Fluoride-Free.2) Gluten-Free.3) SLS-Free. These statements have not been evaluated by the Food and Drug Administration (FDA). These Products are not meant to diagnoseÃ¢ÂÂ treat or cure any disease or medical condition. Please consult your doctor before starting any exercise or nutritional supplement program or before using these or any product during pregnancy or if you have a serious medical condition. 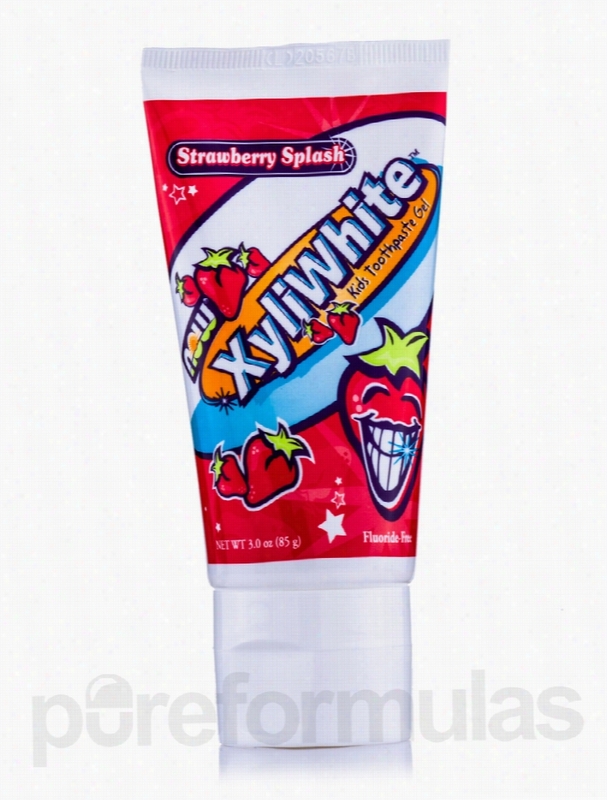 NOW Oral Health - NOW Solutions - XyliWhite Toothpaste Gel,. The XyliWhite&trade; Advantage!XyliWhite&trade; is a remarkable new fluoride-free &quot;Cinnafresh&quot; toothpaste Gel that uses natural Xylitol as its main ingredient. Benefits of XyliWhite Cinnafresh:1) Formulated with the purest ingredients.2) Free of SLS (Sodium Lauryl Sulfate).3) Uses vegetarian/vegan ingredients.4) Contains 25% Xylitol&sbquo; one of the highest contents available!5) Clean and fresh&sbquo; cinnamon taste.6) Whiter&sbquo; stronger teeth.7) For adults and children.Other Benefits of XyliWhite Cinnafresh include:1) Fluoride-Free.2) Gluten-Free.3) Paraben-Free.4) Reduces Plaque.5) Whitens Teeth&sbquo; Fresh Taste. These statements have not been evaluated by the Food and Drug Administration (FDA). These products are not meant to diagnoseÃ¢ÂÂ treat or cure any disease or medical condition. Please consult your doctor before starting any exercise or nutritional supplement program or before using these or any product during pregnancy or if you have a serious medical condition. 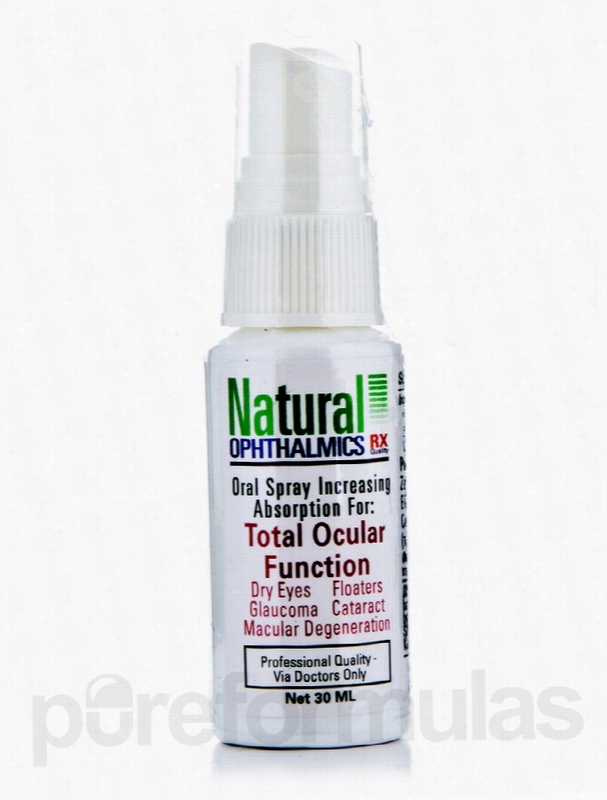 Natural Ophthalmics Homeopathic Remedies - Total Ocular Function Oral. Oral Ingestion by Spray has been shown to be up to 10 times more effective than swallowing capsules&sbquo; due to superior bio-availability and absorption. These statements have not been evaluated by the Food and Drug Administration (FDA). These products are not meant to diagnoseÃ¢ÂÂ treat or cure any disease or medical condition. Please consult your doctor before starting any exercise or Nutritional supplement program or before using these or any product during pregnancy or if you have a serious medical condition. Professional Formulas Homeopathic Remedies - Amalgam - 2 fl. oz (60. 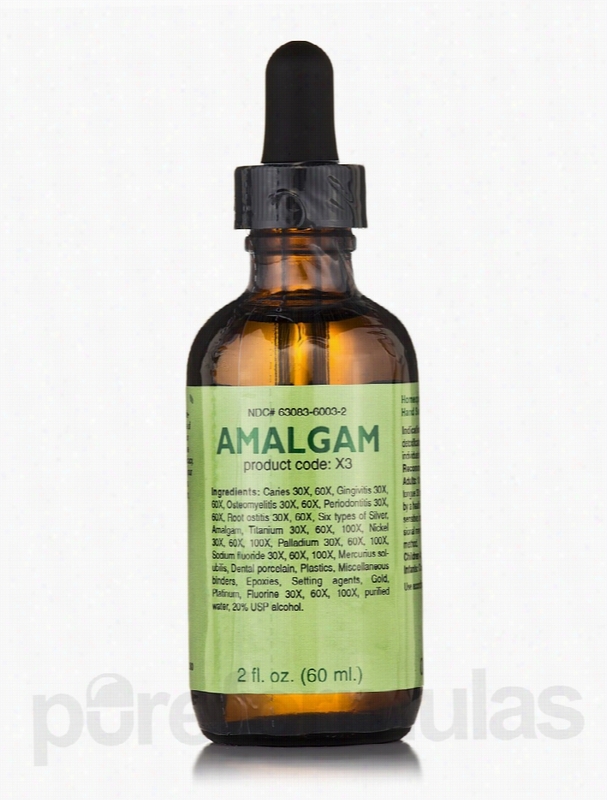 Amalgam is a homeopathic blend that assists in the Detoxification of dental toxins. Improves oral health Cleanses the mouth of harmful toxins Amalgam is a dental formula that is used for oral health care. The product uses homeopathic support to address toxins introduced by dental restorations. Restorative materials contain different metals and chemicals that are continuously released. These substances can pose a threat to your health when released in large amounts over time. Amalgam helps eliminate these harmful toxins by releasing small amounts of similar substances that help to remove the toxins. One of these chemicals is Sodium Fluoride&sbquo; a mineral that is used to prevent cavities. The product also contains Titanium and Fluorine. Titanium supports dental crowns while Fluorine lowers the symptoms of tooth decay. Amalgam is helpful in removing potentially harmful substances and in promoting oral health. Amalgam 2 fl. oz. (60 ml) Includes the Following Ingredients: Titanium: Supports dental crowns for a natural look Sodium Fluoride: Prevents cavities Fluorine: Lowers symptoms of tooth decay These statements have not been evaluated by the Food and Drug Administration (FDA). These products are not meant to diagnoseÃ¢ÂÂ treat or cure any disease or medical condition. Please consult your doctor before starting any exercise or nutritional supplement program or before using these or any product during pregnancy or if you have a serious medical condition. 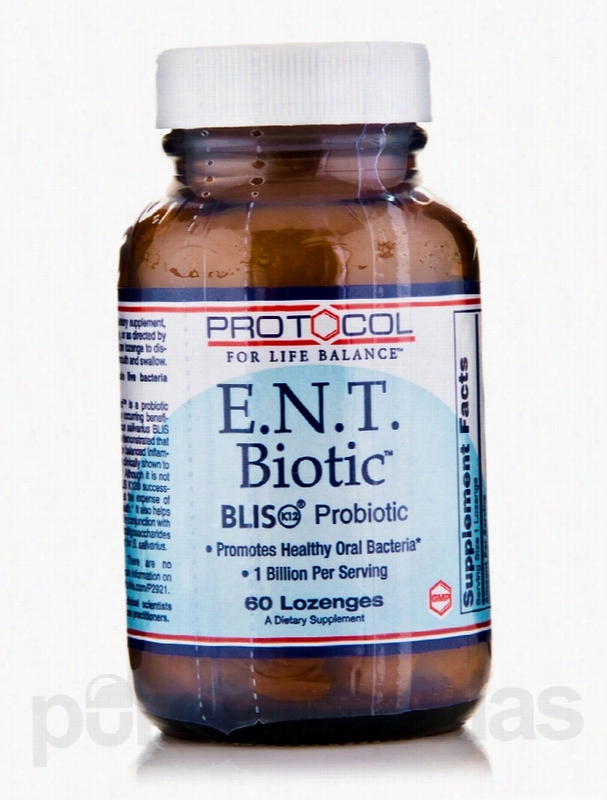 Protocol for Life Balance Gastrointestinal/Digestive - E.N.T..
E.N.T. Biotic&trade; BLIS K12&reg; Probiotic Lozenges from Protocol for Life Balance&reg; reportedly maintains good oral health and alleviates throat conditions. This dietary supplement is free of gluten&sbquo; soy&sbquo; egg&sbquo; wheat&sbquo; salt&sbquo; shellfish&sbquo; and preservatives. BLIS K12&reg; streptococcus salivarius helps improve the health of your mouth and throat&sbquo; while keeping your upper respiratory tract healthy. BLIS K12&reg; could potentially boost your immune system&sbquo; fight throat infections&sbquo; and even freshen breath too. BLIS K12&reg; streptococcus salivarius in this dietary supplement from Protocol for Life Balance&reg; reportedly supports the growth of healthy bacteria in your mouth and promotes good oral health. These probiotic bacteria could potentially improve the health of your nose&sbquo; ears&sbquo; and throat. BLIS K12&reg; may also neutralize the harmful bacteria in your mouth&sbquo; which may prevent bad breath and cavities. Make E.N.T. Biotic&trade; BLIS K12&reg; Probiotic Lozenges from Protocol for Life Balance&reg; a part of your daily routine and it could potentially protect your nose&sbquo; ears&sbquo; throat&sbquo; and mouth from infections. These statements have not been evaluated by the Food and Drug Administration (FDA). These products are not meant to diagnoseÃ¢ÂÂ treat or cure any disease or medical condition. Please consult your doctor before starting any exercise or Nutritional supplement program or before using these or any product during pregnancy or if you have a serious medical condition.